Rest assured you’re in safe hands. We’re competant and professional. We have the right qualifications, experience and can back it up with extensive public liability insurance. Heating Equipment Testing and Approval Scheme or “HETAS” are the official body recognised by Government to approve your installation. Blazing Burners are HETAS registered therefore once we have performed your installation in accordance to Government building regulations as determined in Approved Document J (2010), we are then able to self certify your installation. If you were to perform the installation yourself, you would have to contact your local building control and get them to certify your installation which is a complicated process, involves other parties, and is time consuming and expensive. Blazing Burners are HETAS certified (H003 & H006) and regulated thus ensuring that the above building regulations have been adhered to. 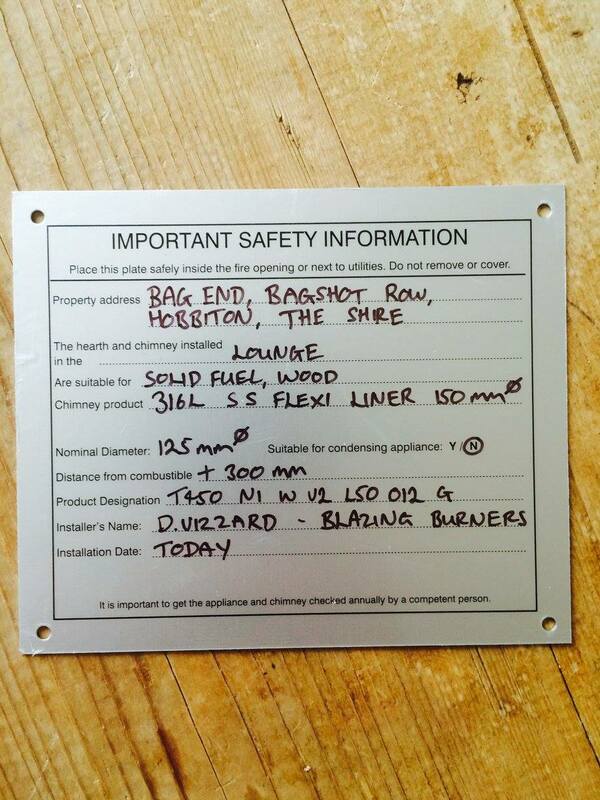 Once your wood burner or multi fuel stove install is complete, you will receive your certificate of compliance. This demonstrates that the installation was carried out by a competent HETAS installer and complies with the relevant Building Regulations. The information on the certificate is used to record your installation, and is used to notify your Local Authority Building Control Department (LABC) of the work that was undertaken. The certificate takes the place of a Local Authority Building Notice which could take considerable time and cost you a significant amount of money (£172 – £264 in West Cornwall). The information is required to validate household insurance and will be required by solicitors in any home selling process. Without a HETAS Certificate of Compliance, you could face difficulties when selling a property and potentially void a household insurance policy. We have public liability insurance cover for up to £2 million. So please be safe in the thought that if anything does go wrong you’re adequately covered. When we send through your estimate we’ll attach our T&C’s. These are reader friendly and we ask you to go over these and come back to us with any questions you may have before the install. We’re patient, flexible, understanding, approachable and friendly but if we’re turning up to do your install and your DIY hearth isn’t laid, you’ve left us a 5” gap for a 6” liner on your knockout and the stove you’re supplying isn’t there – we simply can’t do what we’ve told you we can do – so you should expect a fee. Fair enough? Your new appliance and flue liner will be under conditional warranties. The stoves warranty will vary in length depending on the stove. The flexible liner will either be warranted for 15 or 30 years depending on the grade of the stainless steel. The twin wall rigid flue will be warranted for 10 years. The conditions of these warranties stipulate that the stove and liner have to be installed following guidelines that we would adhere to. On completion of the install, the other conditions are now your responsibility. They typically include having your stove serviced once a year; your flue swept twice a year and burning correct fuels for your stove – seasoned logs and certain multifuels. 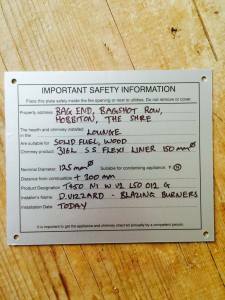 The warranty normally covers the body of the stove and not “consumable” parts such as firebricks and seals. The liner warranty covers a replacement but not the removal or re-fitting of the existing liner. Blazing Burners will be happy to service your stove. In fact, we’ll be in touch shortly after the installation with our service contract. A notice plate is provided upon completion of your installation. It provides information essential to the correct application and use of the facilities we have installed and is a requirement by law that it should be permanently posted in the building – we typically fix it in your consumer unit. As a rule of thumb, if your house is a new build (built after 2008) or if your wood or multi fuel stove exceeds 5Kw in output, then you will require additional ventilation. This is Government policy as referenced in Approved Document J (ADJ) 2010. 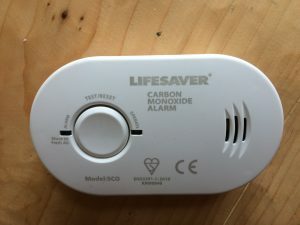 This will allow for efficient combustion and thus protect individuals from the hazardous effects of burning substances – in particular carbon monoxide. The amount of additional air supply required mostly depends upon the output of your stove. The best type of additional ventilation we like to install are Rytons Lookryt vents. In the process of combustion – a gas called Carbon Monoxide (CO) is released. This is a poisonous gas and in abundance is detrimental to your health. However, the amount of CO released in this process is so small that it is not harmful. Your log burner and chimney system come with warranties and should be serviced yearly to maintain these warranties and prevent the efficiency of your stove and system being compromised. However an additional precaution MUST be undertaken which is in the form of a CO alarm. Blazing Burners will supply and correctly fit (according to specific guidance) a CO alarm in accordance with British Standards. Your CO alarm should be tested weekly – simply by pressing a button – to ensure it is working correctly. This will ensure that you are notified in the unlikely event of excessive CO leakage. Symptoms of CO poisoning include headaches, weakness, dizziness, nausea, vomiting, confusion, blurred vision and loss of consciousness.